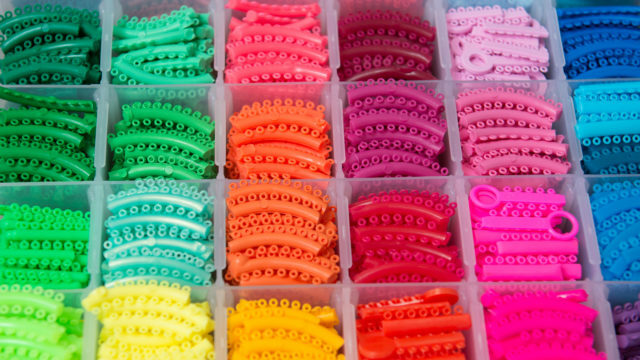 Braces are important for more than just aesthetic reasons, though. An abnormal bite could lead to other dental health issues, such as tooth decay or gum disease, tooth loss, jaw problems, tooth enamel wear or even affected speech or chewing. Thus, it’s important to take care of your teeth once you do have braces, for maximum dental health. First and foremost, you have to watch what you eat. Aside from general good dental health, brushing several times daily, flossing and visiting the dentist regularly, there are certain foods you should avoid to ensure the best outcome with your braces. Brush your teeth at least twice a day, for at least two minutes after every meal, an electric toothbrush is ideal for getting into the crevices of your teeth with your new braces. When you do brush your teeth, make sure you clean your teeth at the base of the gums, the insides and back of your teeth, as well as the brackets, making sure you get the spots under the wires. You should replace your toothbrush every three months, especially since braces have a tendency to wear down brushes.